An astounding vision of history and culture surrounds the visitor from all sides. 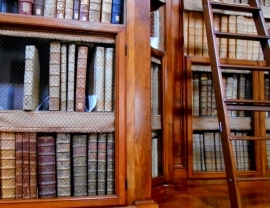 A time machine made of books and shelves and wooden ladders reaching up to the sky. 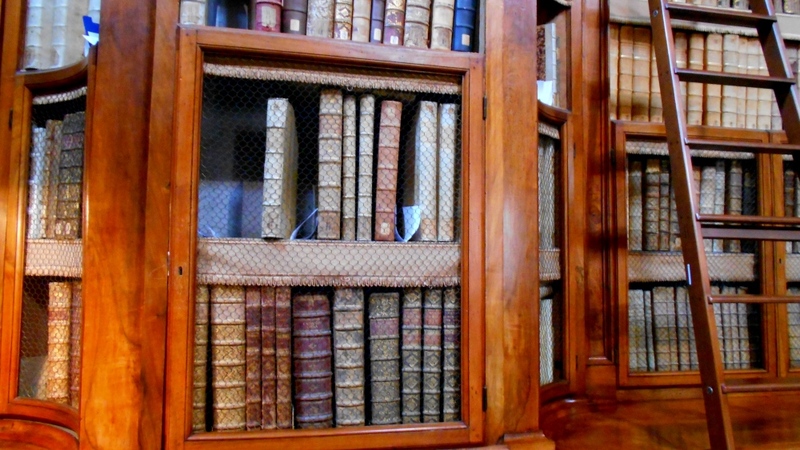 A full-immersion experience into the heritage of an antique world. It happens in Rome that strange, invaluable gifts are unexpectedly offered to the bewildered eyes of inquisitive visitors. 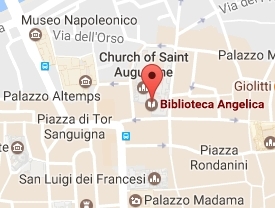 You leave Piazza Navona and, just a few streets away, a priceless gem can be explored during office hours: the Angelica Library, a sort of movie set which brings you right back to the seventeenth century. 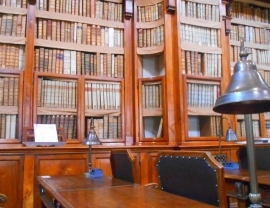 Rows after rows of antique books, manuscripts in Greek and Latin, original editions of rare works of the past centuries fill up the whole room, calling for experienced scholars to investigate the nature of God, the boundaries of the known world and the heights of human thought. 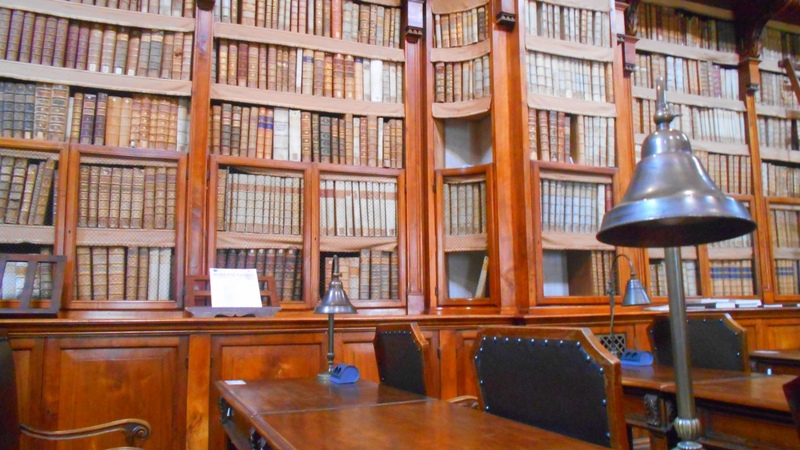 Generations of learned men from all over Europe have addressed the most complex philosophical subjects in this illustrious hall throughout many hundreds of years. 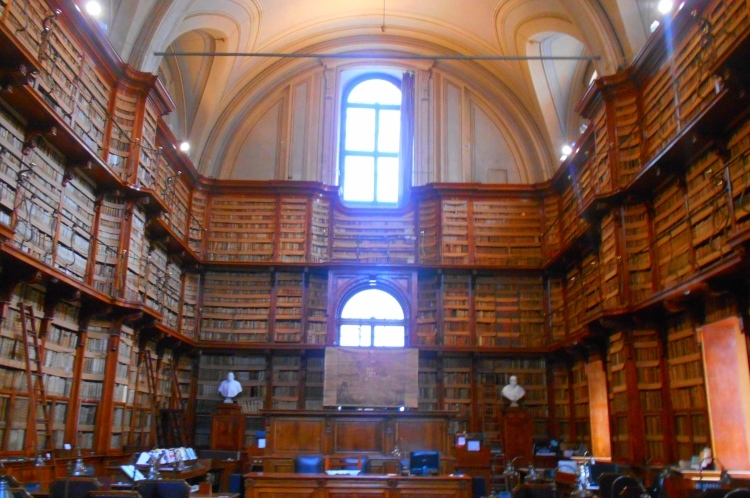 There is no web, no smartphone, no search engine that can convey the same magical impression of a single place where the entire knowledge of the world was once stored. 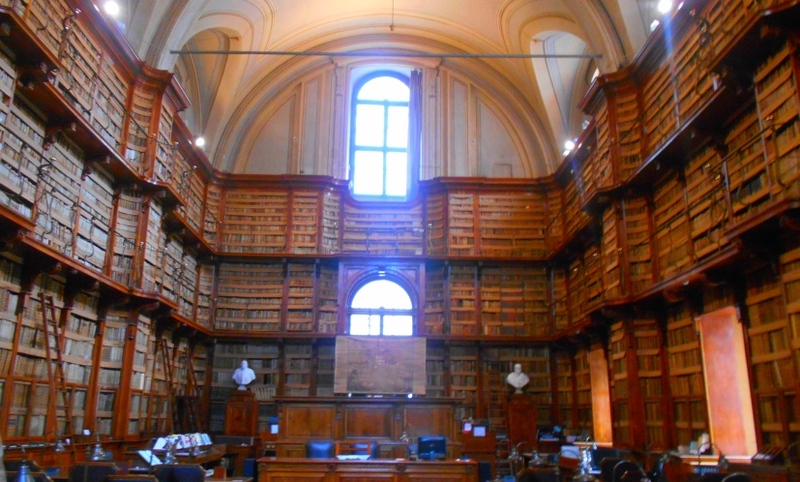 This is the Angelica Library, a place unknown to the common tourist, for the most uncommon of the experiences.